The Beaconsfield Golf Club was incorporated in 1904 under letters patent granted to Mr. Benjamin Tooke and 49 other founding members. Mr. Tooke, the first Club president, was truly the father of the Club and in the family tradition of Beaconsfield, his great grandson, James Fraser was also president seventy five years later. The original course consisted of six holes, and annual dues were fifteen dollars. The fifteenth hole originally was a quarry, supplying stone for the construction of the Victoria Bridge in the mid nineteenth century. The barn on the sixteenth housed work crews on this project and later became Beaconsfield's clubhouse. Legend has it that the original members of Beaconsfield were from the Westmount Golf Club, and in protest of the ban of golf on Sunday, extended the game to the Lakeshore. Land from the estate of James Leggat, the Charlebois Farm and the quarry was purchased to comprise the site known as "Beaconsfield". The Club opened its maiden season in 1904 and has continued to operate in Pointe Claire ever since. Beginning as a summer retreat for weekend golfers, it has blossomed into one of Canada's best known clubs. In the early days, Club members were attired in red jackets with a green trim for lunch and dinner as well as for all formal Club events. Today, this tradition is maintained with the jacket being worn about the Club by the present and former presidents and captains. The official members' Club blazer recognized for all Club functions presently is green with the Club's gold crest. In 1913, a new clubhouse was built on the present site ushering in a new era for Beaconsfield. As host of the CPGA championships that year, Beaconsfield began a long history of golfing tournaments. With the Canadian Ladies Golf championship in 1919, the Royal Canadian Amateur Championship Matches in 1920, and the CPGA Championship again in 1924, the Club in only twenty years had established its mark nationally as a championship 6034 yard, par 72 course. The year 1929 saw the Clubhouse destroyed by fire, only to be quickly rebuilt. The current Clubhouse is its replacement. Other local clubs came to Beaconsfield's rescue offering their facilities for the1929 season. To commemorate this gesture of friendship, the "Phoenix Invitational Tournament" was established. Today, this event ranks among the most prestigious amateur tournaments in Eastern Canada. 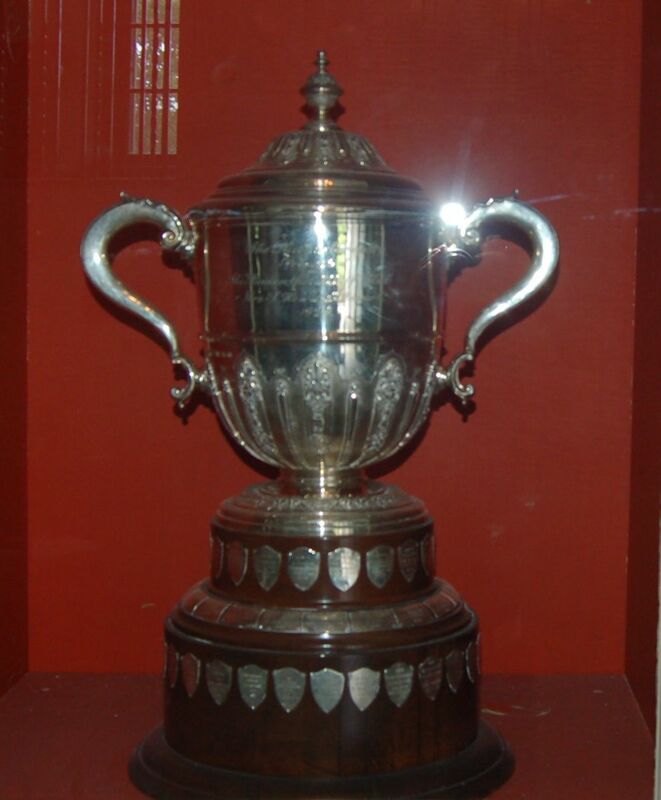 Teams from coast to coast and overseas have competed annually since 1930 for the prized "Phoenix" trophy. Beaconsfield was one of eight founding members of the Quebec Golf Association in 1920 and no less than eight members have served as presidents of the QGA. The Club has twice hosted the Canadian Open, in 1946 and 1956, and gained international recognition as the site of the inaugural International Golf Matches in 1952, an event featuring a team of professionals from the United States against a team from Canada. This event was again held at Beaconsfield in 1953. The Club gained world recognition that same year as the site of the first World Cup known at the time as the Canada Cup. Thus, modern day international professional matches were born at Beaconsfield. In 1977 and 1978, top professionals on the tour were guests at Beaconsfield in the pro-am Peter Jackson Chairman's Tournament. In 1983, Beaconsfield was once again host to major golf with the Peter Jackson Classic, as the top lady professionals competed in this, one of the four major events on the tour. In 1985, 1989 and 1995, the ladies returned for the LPGA du Maurier Classic at Beaconsfield, a resounding success in the tradition of the Club. An indication of Club stability and environment can often be measured in the Club professional's tenure. Over the years of golfing at Beaconsfield there have been but eight home pros. Jimmy Walter was the first Club pro followed by John Madden, Jimmy Black, Albert Murray, Jack Reynolds, Bill Kerr Sr. (twenty-eight years), Ron Healy (twenty-two years) and current Club Professional, Don Hachey. "We will in future rise from our ashes and have a Beaconsfield if possible better than before"
A tragic fire caused by a defective electrical wire completely destroyed the Clubhouse on June 12, 1929. Dr. Fred Tooke, Club President at that time, stated prophetically ... "We will in future rise from our ashes and have a Beaconsfield if possible better than before..." Historical accounts state that within hours of the fire, virtually every golf club around and even those miles away extended invitations to their facilities and offers of assistance to the Beaconsfield members. 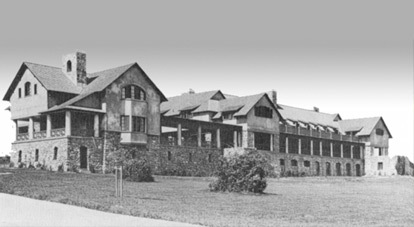 The Clubhouse was rebuilt and was opened officially on September 11, 1930. In recognition of the golfing community's overwhelming spirit and generosity, a tournament was begun in that same year, named after the mythological bird which self-ignites, and then rises again from its ashes. With a trophy donated by a Beaconsfield member, the Phoenix Invitational golf Tournament has been held every year, with the exception of 1941 to 1946 during WWII. It is renowned as one of the friendliest and most prestigious competitions in the area - a highlight of the Quebec golfing season.